I don’t know what to make for breakfast. Every single day I stand in the kitchen staring into the fridge. Pancakes, oatmeal, cereal, or eggs. Eating (and making) the same thing every morning gets BORING! 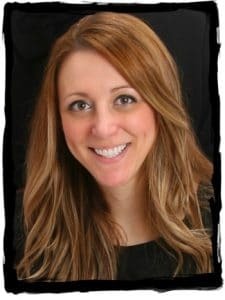 Here is a fun way to switch it up. 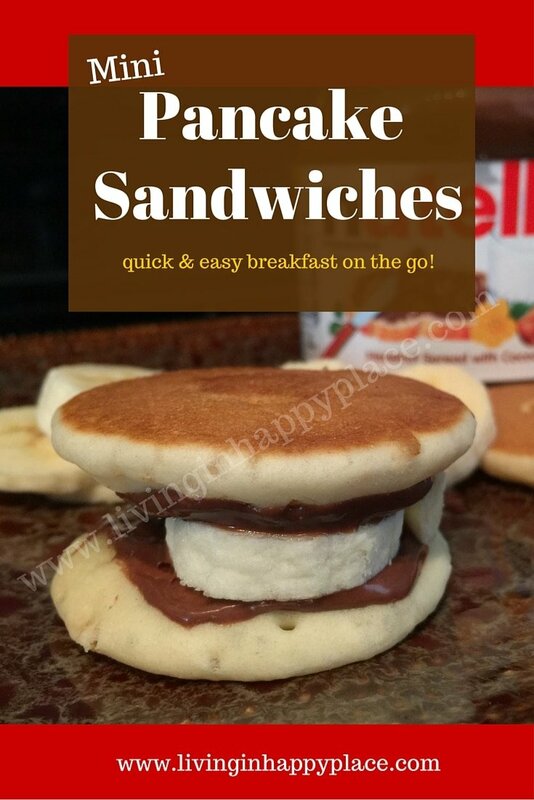 Super easy breakfast pancake sandwiches are quick and simple to make. They are even portable so they make a great out-the-door grab & go kind of healthy breakfast on busy mornings. 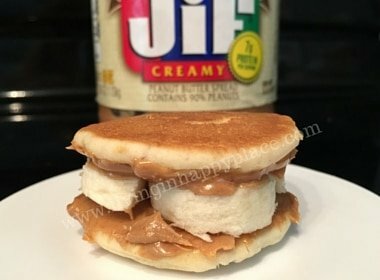 6 Pancakes ( I use the mini versions but you could certainly use larger ones for one big pancake sandwich instead of 3 mini ones). Spread about 1 teaspoon of peanut butter or Nutella on each pancake. Cut a banana into slices and and 1-2 slices to half (3) of the pancakes. Run out the door and start your day! Are you using Yummly? Check it out! You’ll be glad you did! Super easy breakfast that is quick and healthy. Win! As a bonus, it’s a welcome change to boring old cereal or toast. Now all you need is a healthy lunch and you are prepared for your day! You deserve a cookie! What’s your favorite easy breakfast when you are running out the door? Share your Mom knowledge and leave a comment!